B’ Active ‘N’ B’ Fit is an Award Winning Company that is dedicated to tailoring structured exercise programmes and well-being services to suit individual need in the local communities with a public health focus. 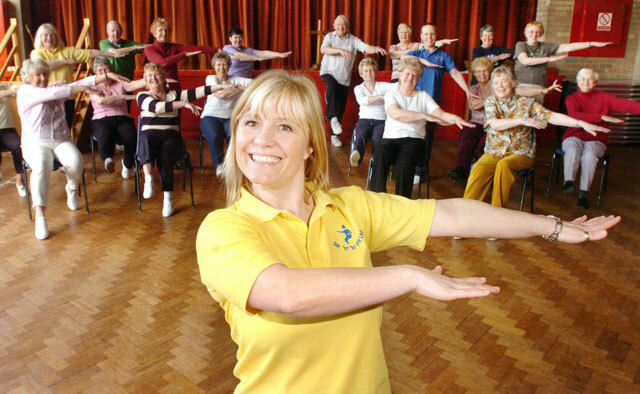 B’ Active ‘N’ B’ Fit was previously known as Sit ‘N’ B’ Fit and was founded in 2005 by Managing Director Lynn Summerside who is also an ambassador for the Social Enterprise Investment Fund hosted by The Department of Health (SEIF) (DH). In her role as an ambassador for social enterprise Lynn received an invite from 10 Downing Street to an event for up and coming leaders of social enterprise, she attended a parliamentary reception to talk about social enterprise and the impact our company is making in the community. Sit ‘N’ B’ Fit (as seen on TVs The Secret Millionaire) which tailors exercise to the over 50s, and more frail older adults including people with specialist health needs. Our developmental arm B’ Young ‘N’ B’ Fit that provides specialist programmes of Exercise, Movement & Dance to help combat the effects of inactivity in children such as obesity. We strive to ensure that our classes are non-intimidating and welcoming to ensure full inclusion. We also deliver services to individuals in their own home if necessary to combat social exclusion with a view to community integration dependent on individual choice. We deliver health improvement sessions in the local communities to awareness raise about health issues such as cancer and Cardio Vascular Disease (CVD). This helps in the encouragement of earlier presentation and detection of life threatening health problems. We also promote healthy eating and the 5 a day message in the dissemination of fruit bags at exercise sessions. Our trained Reiki Masters and Laughter Yoga teachers are able to deliver sessions in the local community. We focus on holistic interventions to improve health and well-being.